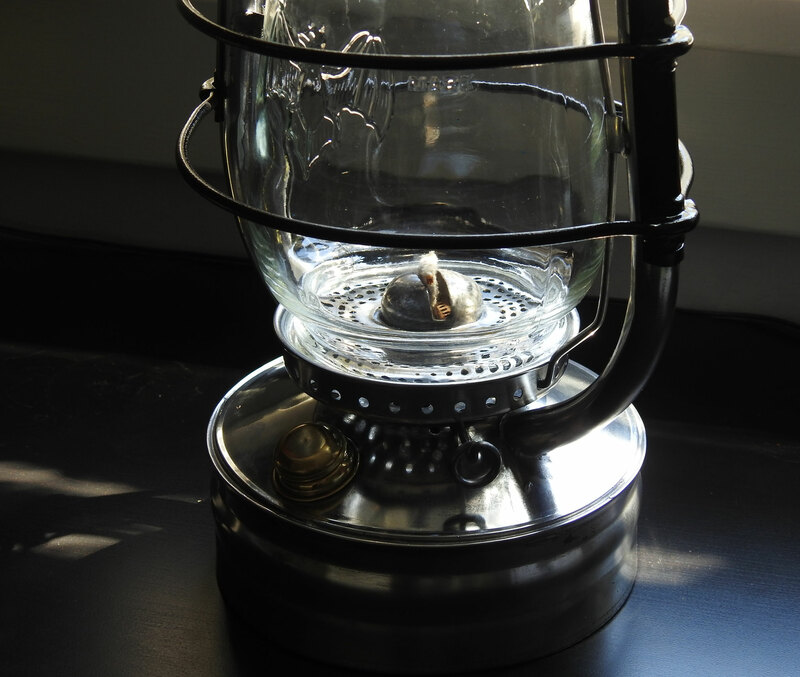 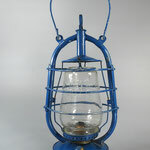 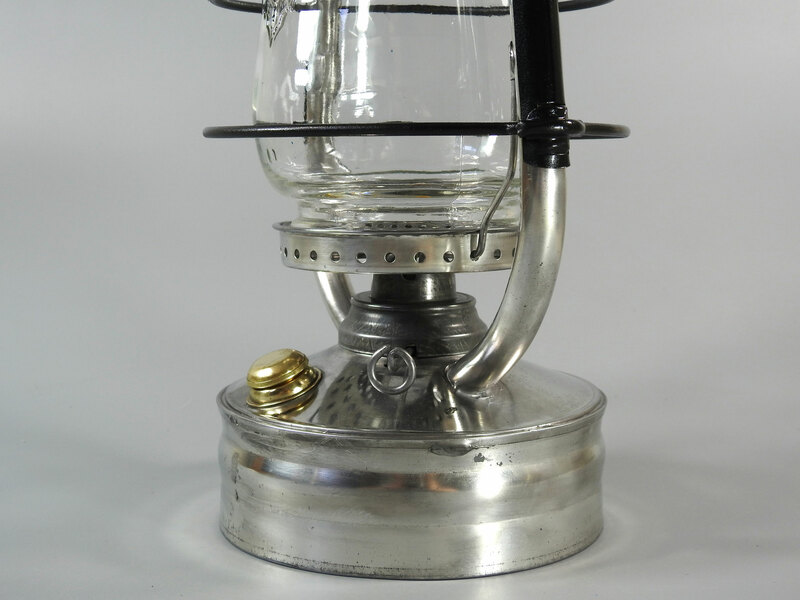 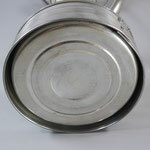 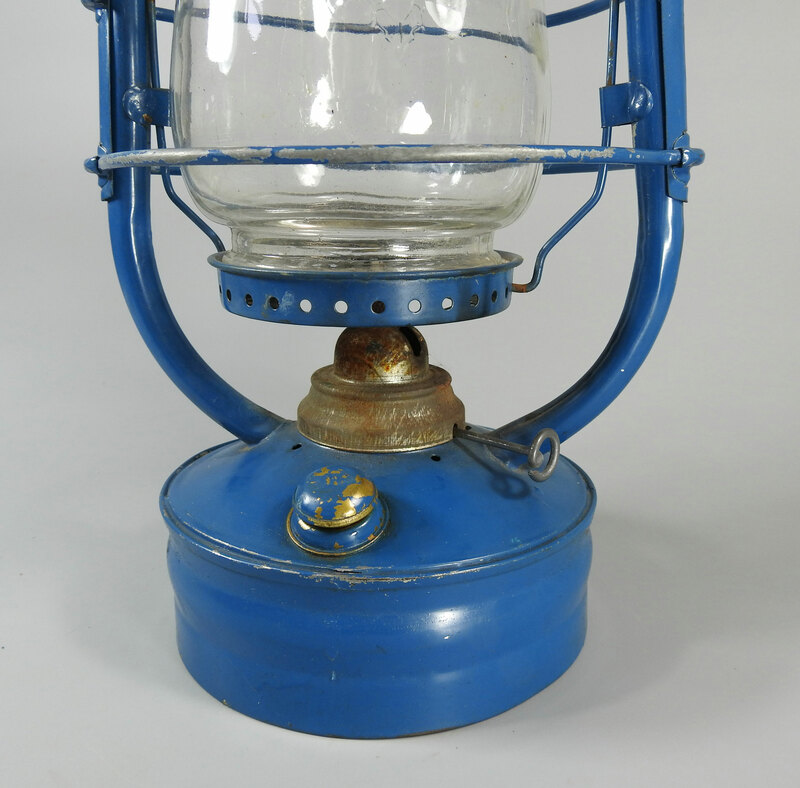 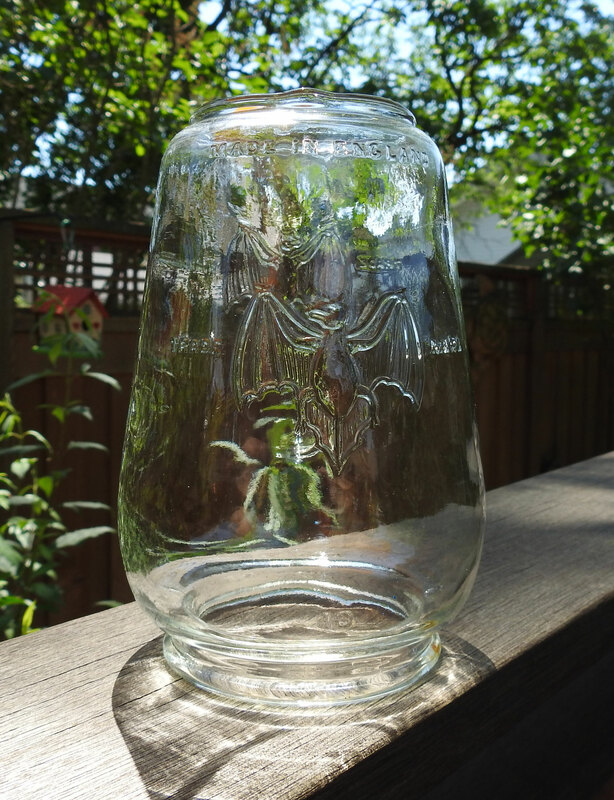 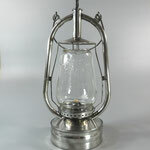 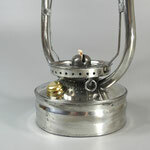 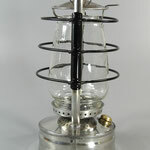 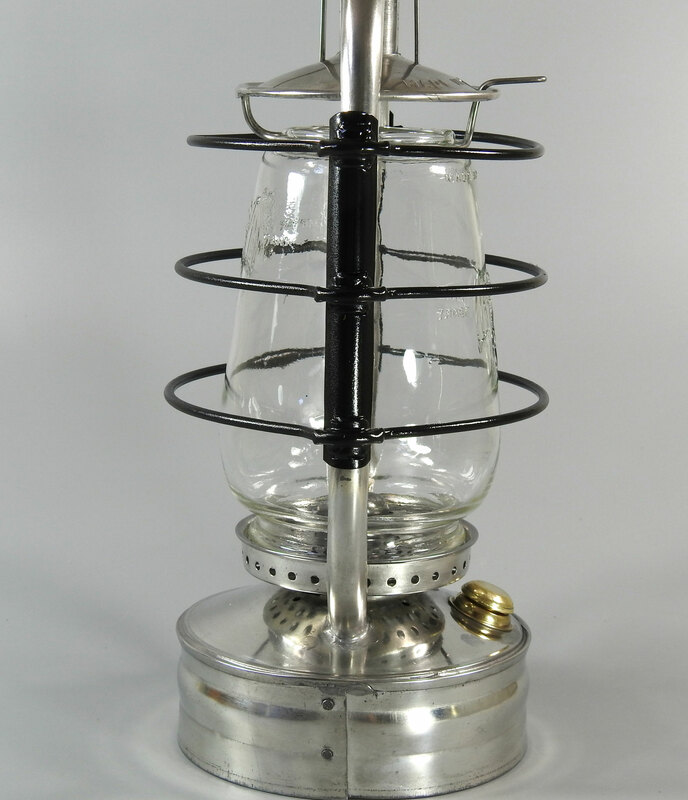 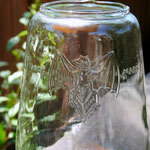 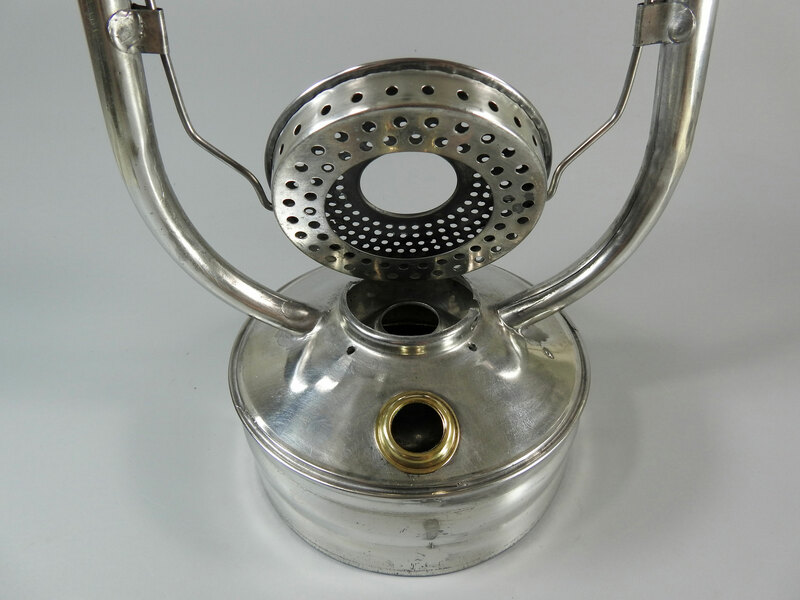 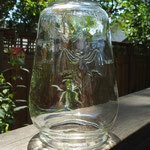 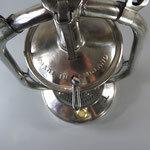 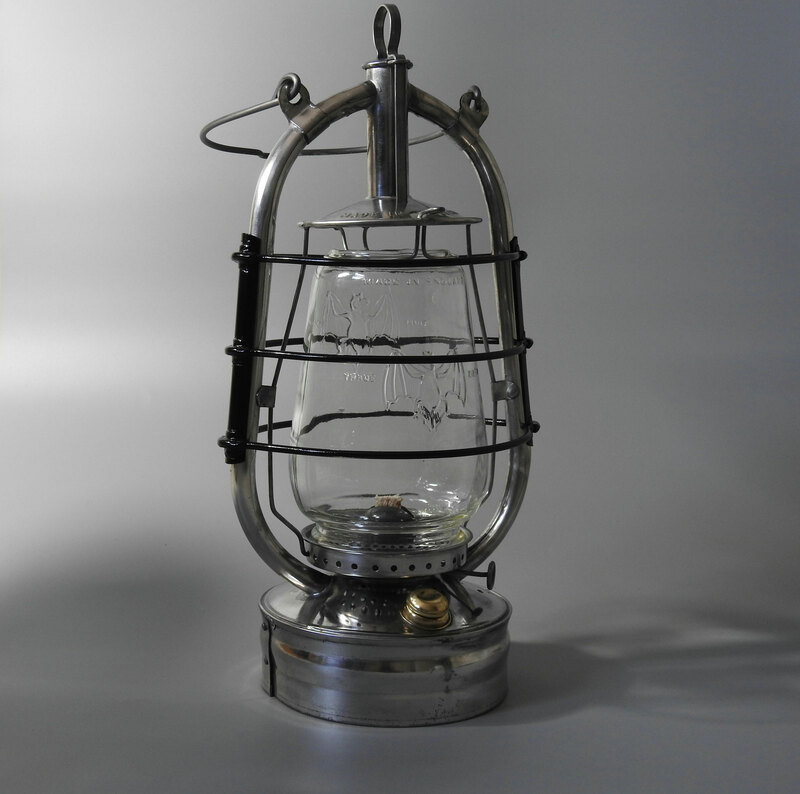 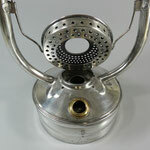 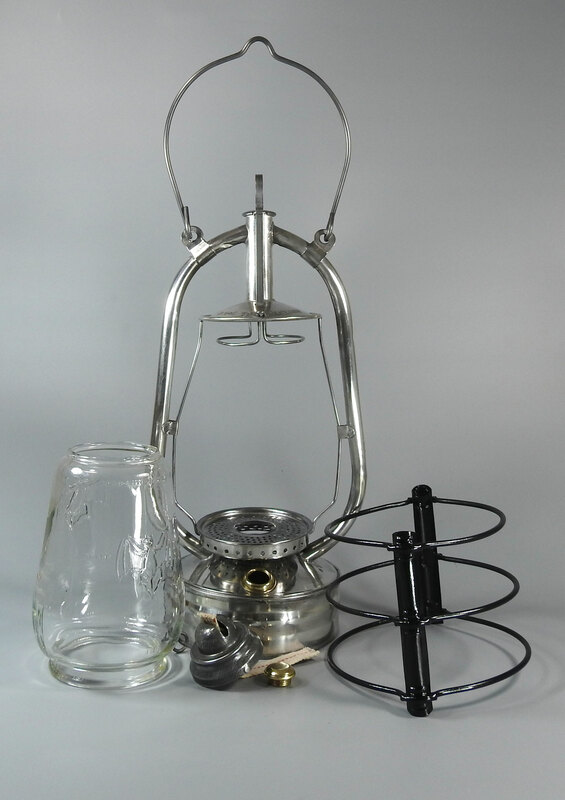 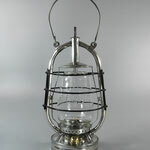 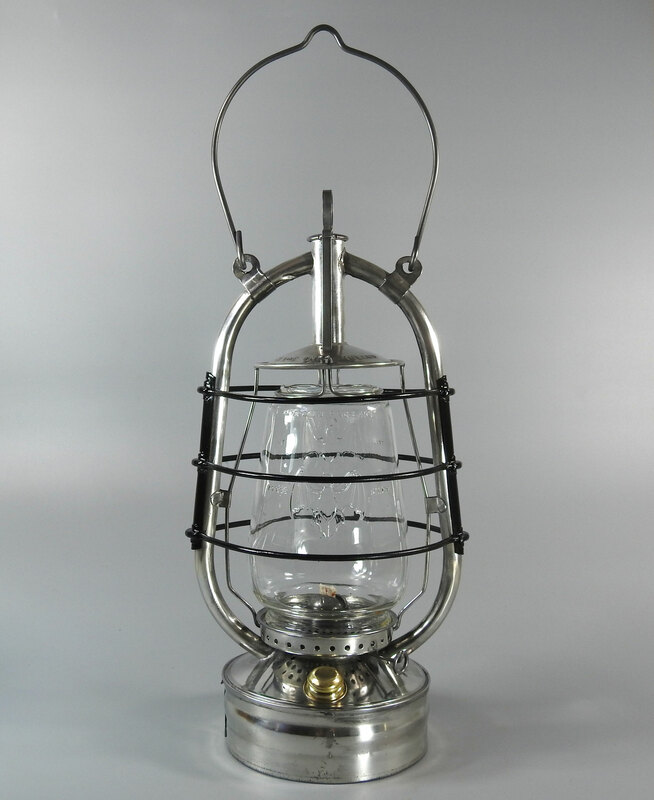 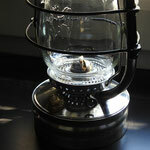 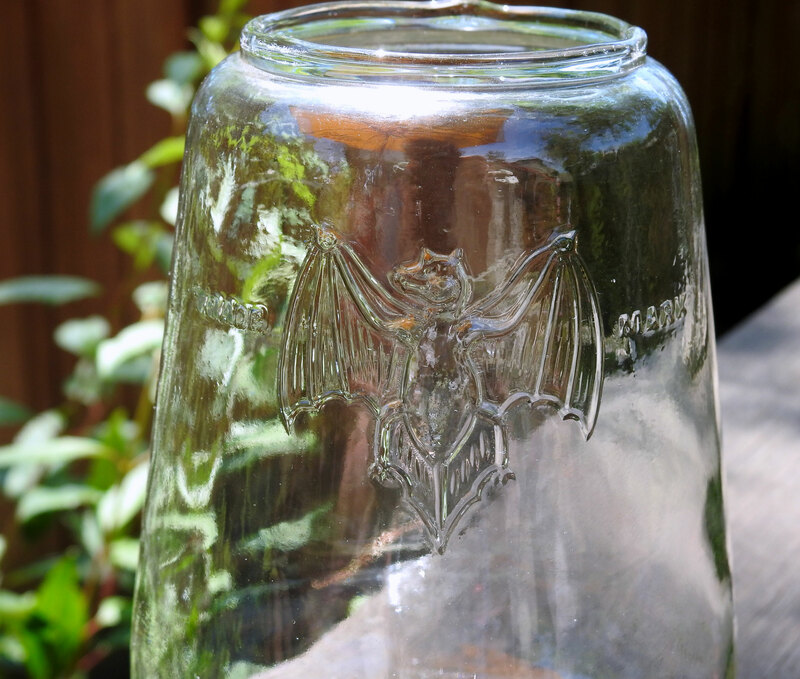 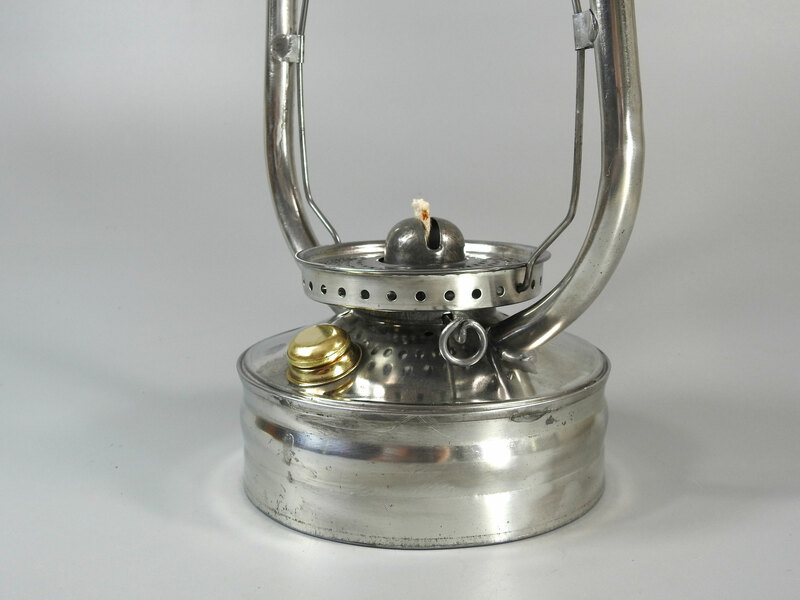 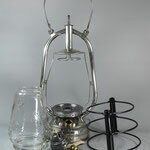 BAT KEROSENE LANTERN - MADE IN ENGLAND BY FALK, STADELMANN & CO. 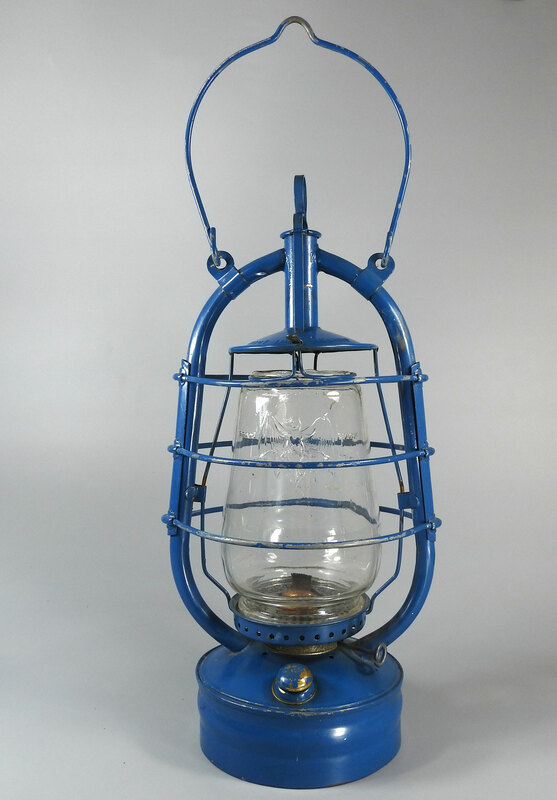 This lantern came to me painted Blue and was not applied very well. 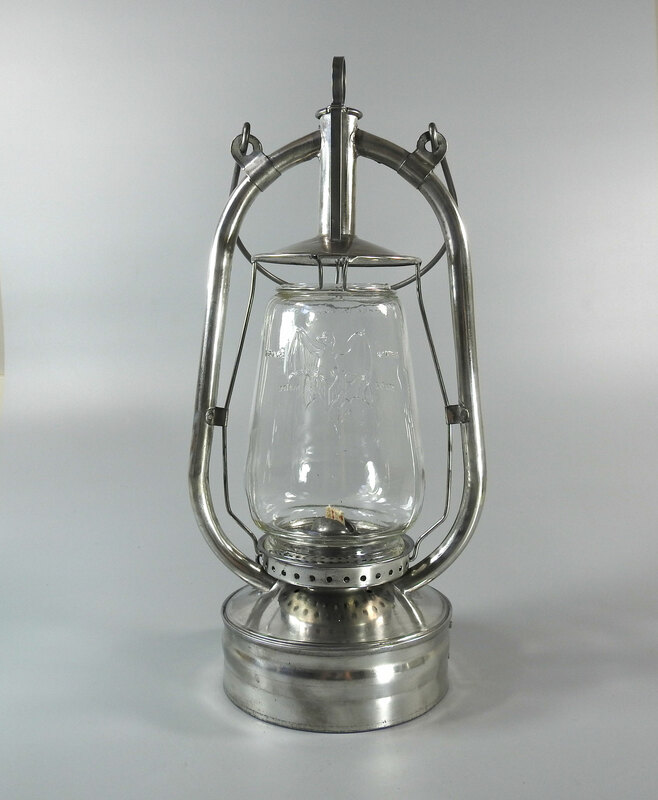 I doubt it was original to the lantern because of the sloppy paint application. 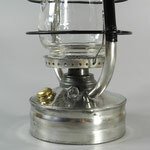 Underneath the paint is an almost New Old Stock lantern and the tank is 100% shiny and pristine. 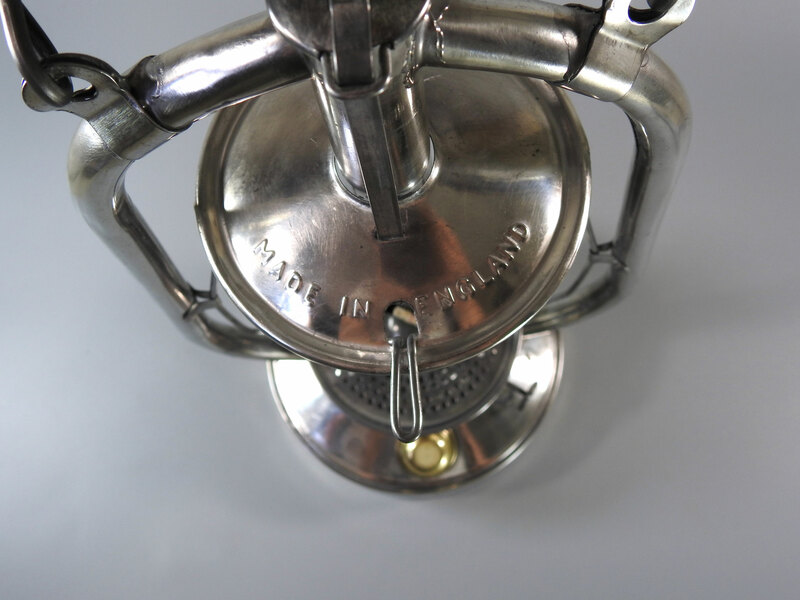 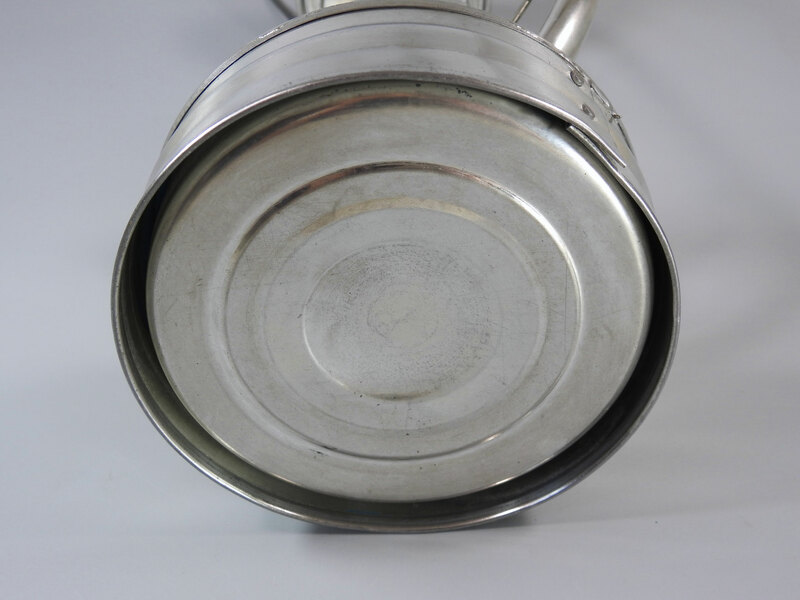 Almost all of the original tin is intact. 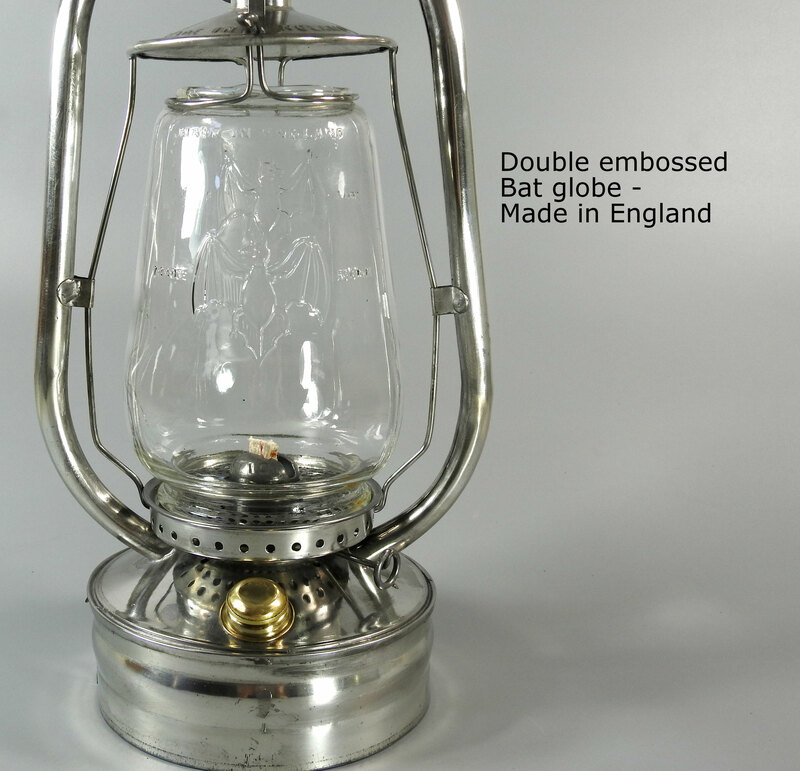 largest lantern manufacturers in the UK (the Tilley Lamp Co and Willis and Bates). Falk, more commonly known because of the brand 'Veritas', had a working relationship with Stübgen/Bat and explains some of the common features between the Bat 2850 and this lantern. 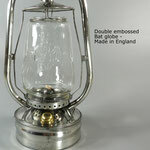 Falk himself was German and emigrated to England in 1885. 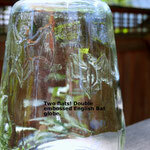 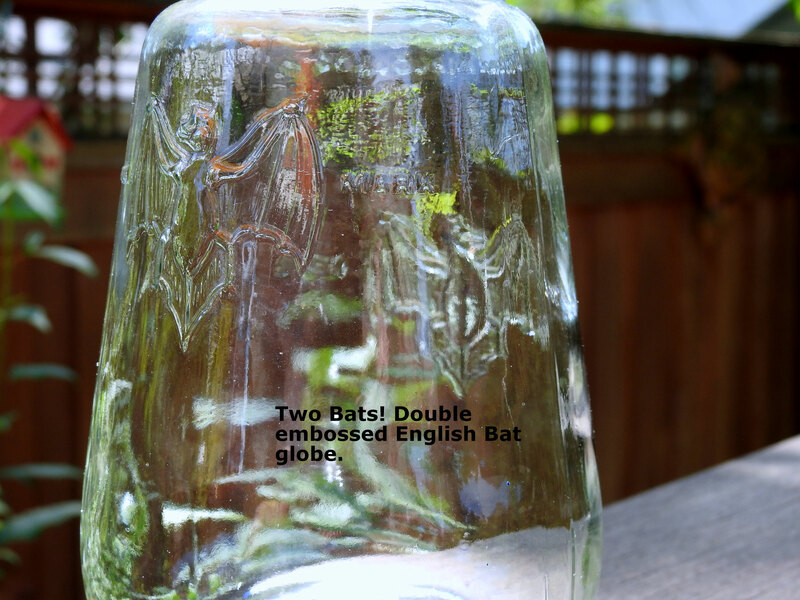 This Double Bat globe was not produced until WW2.